Hennepin, Louis (active 17th century) A New Discovery of a Vast Country in America, Extending above Four Thousand Miles, Between New France and New Mexico. London: for M. Bentley, J. Tonson, H. Bonwick, T. Goodwin, and S. Manship, 1698. Octavo, two parts in one volume, each with its own title page; the edition with the first line of the imprint ending with Tonson; engraved frontispiece opposite first title, lacking both folding maps, provided in facsimile; illustrated with six folding plates: Niagara Falls; The Taking of Quebeck by the English; Wild Bulls (i.e. 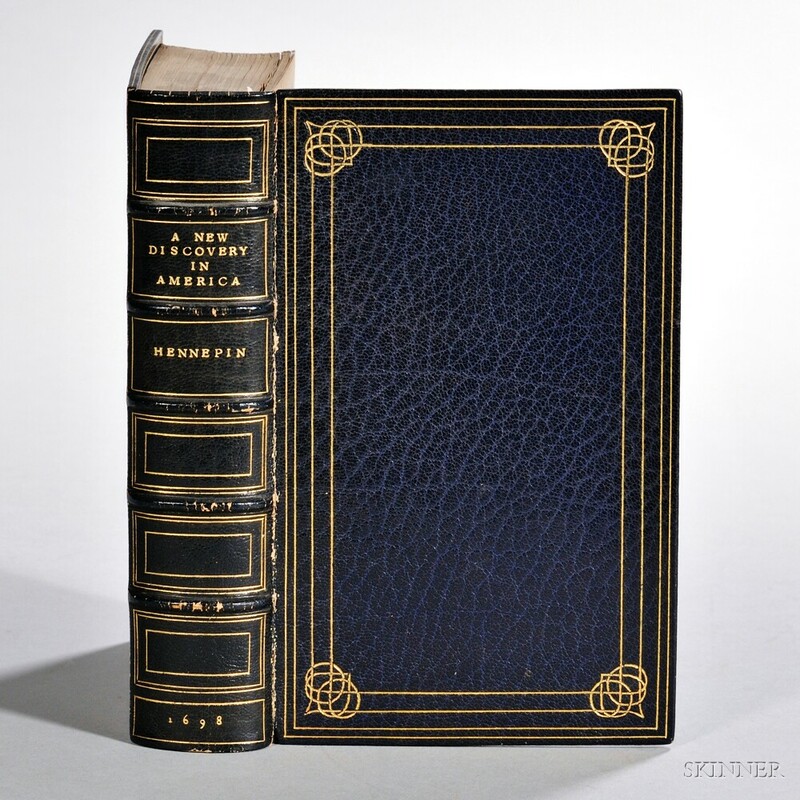 buffalo); The Unfortunate Adventures of Monsieur de la Salle; The Murther of Monsieur de la Salle; and The Cruelty of the Savage Iroquois; bound in full crushed blue morocco by Sangorski & Sutcliffe, front board becoming detached. A8, a4, B-S8, R2; A8, a8, B-M8, N4, O-P8, Q6.